Marsy’s Law is almost entirely the brainchild of Henry T. Nicholas, the billionaire founder of Broadcom, a company that makes semiconductors for the communications industry. Nicholas first entered the field of victims’ rights when he led the effort to pass Proposition 8, a form of Marsy’s Law, in his home state of California in 2008. California campaign records show that Nicholas personally spent $4.9 million of the $5.1 million raised in support of the measure. The opposition spent $2.3 million. For Nicholas, this was a personal issue. His sister, Marsalee (Marsy) Nicholas, was shot and killed by her ex-boyfriend in 1983. Days after the murder, the accused killer, who would later be convicted of second-degree murder, was out on bail and confronted Nicholas and his mother at a grocery store. At that time, the family wasn’t even aware the accused had been released. Nicholas made it his personal mission to require that crime victims receive notification of similar decisions, among other rights he’s promoting. 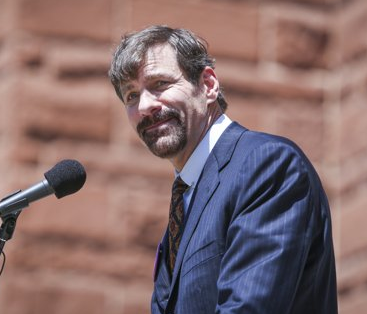 In 2009, he founded Marsy’s Law for All, whose goal is to add victims’ rights to all state constitutions that currently lack them and eventually secure an amendment to the U.S. Constitution. The group successfully led efforts to add constitutional victim rights to Illinois in 2014 and then South Dakota, North Dakota and Montana last year. Nicholas spent heavily – at least $2 million – per campaign in each of the four states his group has targeted. All indications are that Nicholas and Marsy’s Law for All are poised to spend plenty of money in Oklahoma. State ethics documents show the organization deployed nine lobbyists from two of the state’s more active political consulting groups in the state to push the legislation. The Senate approved SJR 46 on a 43-2 vote, and the House voted 88-0. In other adopting states, some officials have objected to the outside influence. Ryan Kolbeck, president of the South Dakota Association of Criminal Defense Lawyers, said his group, as well as the South Dakota State’s Attorneys Association, launched a campaign last year to urge South Dakotans to vote no on the proposal. But he said it was impossible to counter the efforts by Marsy’s Law for All, which included events and advertisements featuring “Frasier” star Kelsey Grammer. Gail Gitcho, a senior advisor with Marcy’s Law for All, said the group just wants to educate voters and let them decide. She said the vote totals in other states show residents agree with the need for a constitutional amendment.